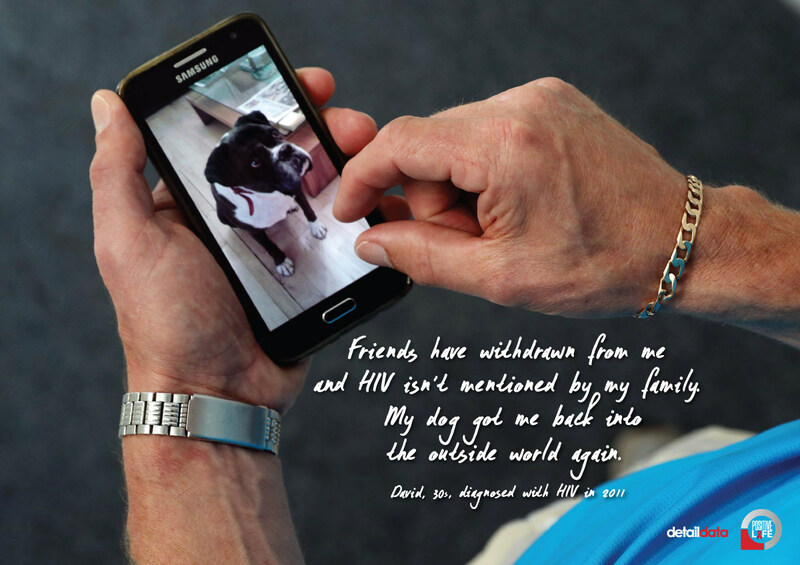 Living with HIV: "It's a taboo subject for many people"
FINDING out you have HIV isn’t the death sentence it once was. With early diagnosis and strong medication, people can look forward to living well into old age. But the fear which gripped the 1980s when tombstone public health adverts were on our TV screens hasn’t totally gone away. Stigma remains. Perhaps because it's largely a sexually transmitted disease or maybe because the 'gay man's disease' label has proved hard to shake off even though people diagnosed are male, female, gay and heterosexual and even children. Facilitated by the charity Positive Life, we brought five HIV positive people together to tell their stories. Hands are an important symbol. They came up time and time again in our discussions. Paul, who is in his 60s and had a late diagnosis in 2000, recalls sitting with someone who placed his hand over his cup of tea as they spoke. A work colleague of Stuart’s sympathised with him but refused to shake his hand in case he infected his children when he went home. The group also spoke about the value of hugs and hand-holding support. So our project focuses on their hands and objects they brought with them. Our subjects are male and female. Their diagnoses in some cases are decades apart and their ages range across 40 years. The names are all pseudonyms to ensure that they cannot be identified – but this need for anonymity is something they all struggle with. They wish they could be open about their HIV status. One speaks of living a double life, another fears for things that could be said to his family and others think friends might reject them if they knew. In many cases, their family members know. They know but they don't talk about it. Ever. The group are bound and defined by their disease - although they all stress it's just one part of their life. The attitude to HIV is largely negative and that makes us silent. Someone once sat with their hand over their cup when they were talking to me. We should not be made to feel like lepers or pariahs. 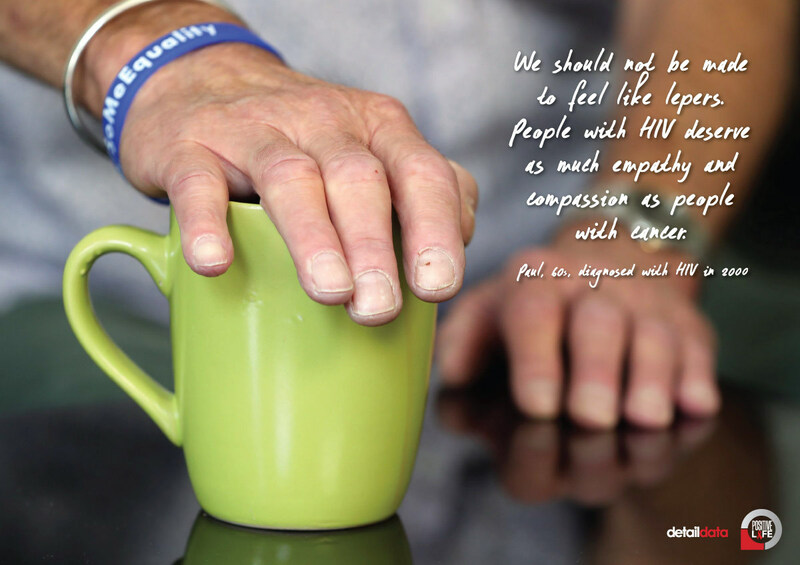 People with HIV deserve as much empathy and compassion as people with cancer. They talk about disclosure being good in England but in Northern Ireland we only tell people who need to know. Not many people know I have the condition, others assumed I have HIV as I had a late diagnosis and looked like a skeleton. It’s a lonely place and I haven’t worked in 16 years. New drugs meant HIV became a chronically manageable situation. I can hardly walk and have osteoporosis because of my medication but it is this medication which is keeping us alive. It’s always on your shoulder but it’s not all doom and gloom. I have had magnificent support from my family and close friends from day one and also from Positive Life. I make the most of what life is and what I have. This is my Mum. The support I have had from my parents, who are both in their 70s, has been more than I have had from people in their 20s and 30s. They showed such understanding from the start. Their support does not solve all my problems but it makes it bearable. The burden definitely gets heavier as you get older. A certain amount is unknown about our futures. For example, we do not know what is going to happen to us on these really strong drugs for HIV. They are very, very toxic. I don’t think anyone in Northern Ireland can say they are at ease with their HIV status. It creates an overwhelming sense of loneliness and isolation. After I was diagnosed, I didn’t tell anyone for five years. I was brought up to be honest but when you are living with this condition it forces you to be dishonest to yourself and those who are closest to you. When you have the information totally to yourself you are still in control. I’m now living with HIV. I am no longer being dictated to by the virus which happened for a long time. It dictated where I went. It dictated who I spoke to. It determined how I live my life. That no longer happens. I am still reminded that I am HIV positive when I open up the bedside cabinet every evening and take my tablets but I no longer have the nightmares that I had in the past. There is still an awful long way to go but at least I am on the right road. 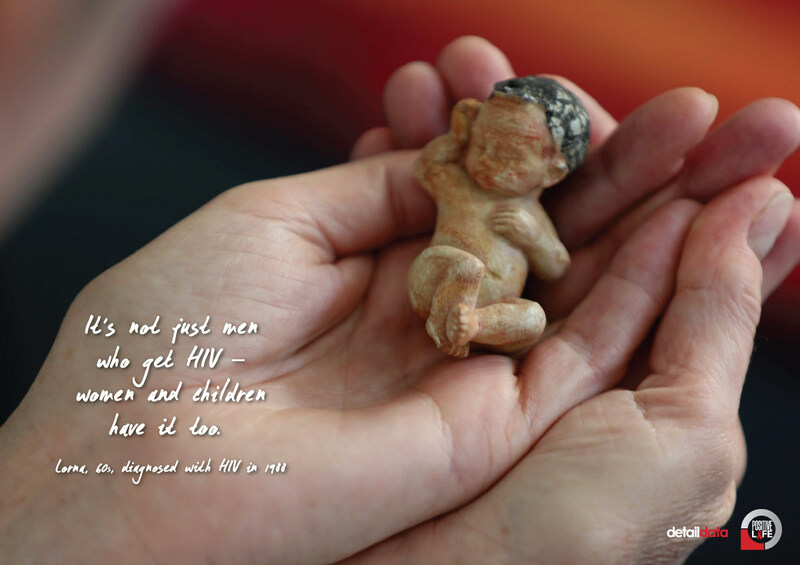 It’s not just men who have HIV – women and children have it too. When I was diagnosed I was a single parent and homeless with a newborn baby and I was told I would probably die in eight to ten years. The first couple of years after that were very hard. Medical care has greatly improved since then but there is still a lot of ignorance, even within the medical profession. I think because the disease is mainly sexually transmitted, it is a taboo subject for many people. 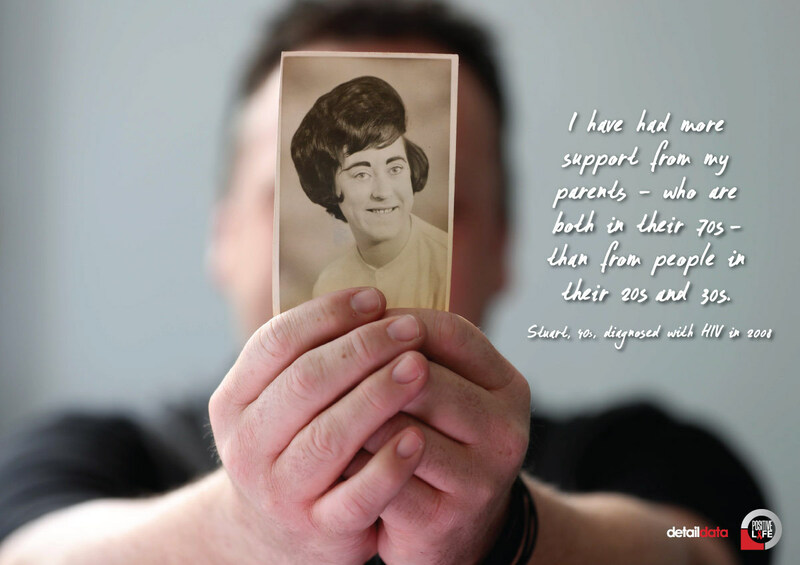 I disclosed to my daughter, who isn’t HIV positive, when she was 16. I wanted her to hear from me and not someone else. She asked me did I have AIDS but I told her I was very healthy. I have been living with this for such a long time. I would like to tell friends but I could not stand the rejection. I have only told three people in thirty years. It puts a burden on others if we tell them as we are asking them to keep a secret. I haven’t had a relationship in thirty years. I would not want to have to disclose my HIV status to a man and then to not have control over what is done with that information. I wish I was brave enough to speak out publicly. I feel dishonest not doing so but I just can’t. People speaking out is the only way the stigma will go. I was diagnosed when I ended up seriously ill in hospital. I had to tell my partner but I don’t even remember telling her. The doctor told my sister. I spent five weeks in intensive care and had to learn how to walk again. Friends came to visit but have withdrawn from me and it’s a subject that is never mentioned by my family. I don’t talk to anyone about it, except to people here at Positive Life. It’s very isolating. Relationships are difficult. It was my dog who got me back into the outside world again walking with him. I have no confidence and can’t focus on anything for too long. It’s hard to live with HIV. Some people think HIV is no big deal now but it still is. But life also goes on and you realise how precious it is. People stereotype that those who contract and live with HIV are void of intelligence. They can’t be intellectual as they were stupid in their decisions and got HIV. Intelligence or lack thereof doesn’t determine who becomes infected. It can happen to anyone. I’m young and made a mistake but I’m not stupid and hate to be labelled so. I have just graduated from university, I have prospects in life and I am working towards a future and long-term career. I am defying those who stereotype me. 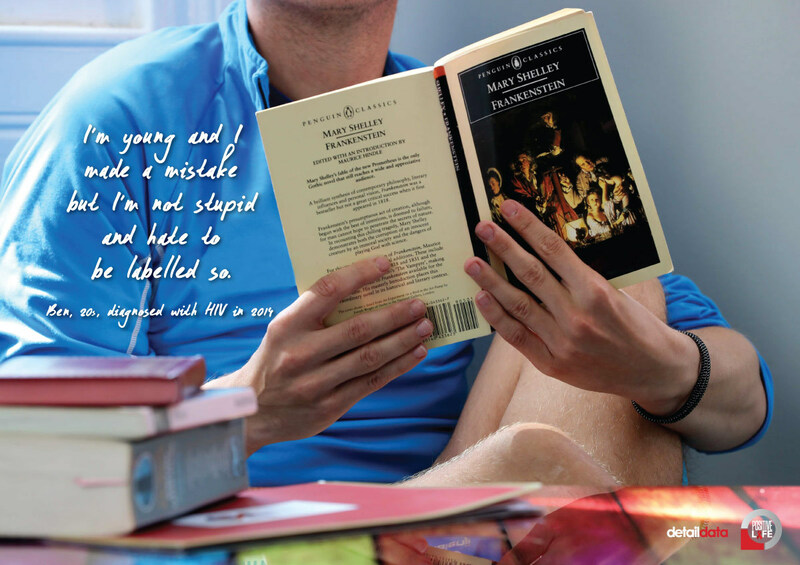 I have told my friends I have HIV and I think the younger generation are more understanding. I received some nasty online messages but most people have been okay. I haven’t faced the trials and tribulations the others have and that makes me realise how lucky I am. Their stories are heartbreaking but they still all have such hope and strength. Photography by William Cherry, Press Eye. Graphic design by Chris Scott. The photographs are being exhibited today in Belfast's CastleCourt Shopping Centre.